I love sticky notes, they come in such interesting shapes and colours, they can so easily be utilised in lessons, in so many ways to support learning! 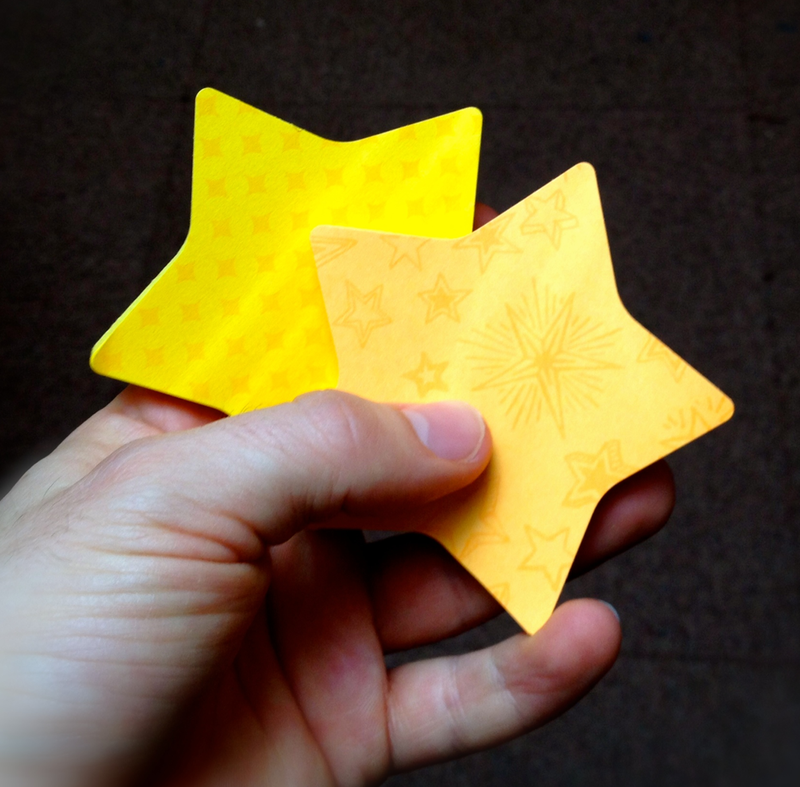 I saw these star shape post-it notes in my local supermarket as I did some shopping, I had to buy a pack knowing I’d find some use for them in lessons. Today’s BTEC Year 10 class were the guinea pigs for my star post-it notes! In my BTEC IT class we’ve been working on animation designs, last lesson we looked at what we meant by the term ‘assets’ in design. So the starter today was a ‘recall starter’; “Write down on a star post-it one example of an asset!” these were then put up on the white board to be discussed. Simple but effective, everyone joined in, everyone wrote an example and then was able to participate in discussions. Keep your eyes open for cool Post-it notes to use in class!